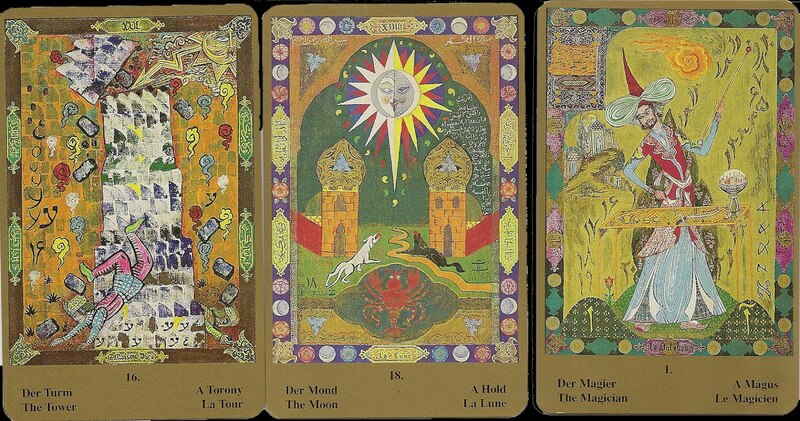 The cards are titled in German, English, French and Hungarian. The German, English and French titles are translations. The Hungarian titles have a different meaning. 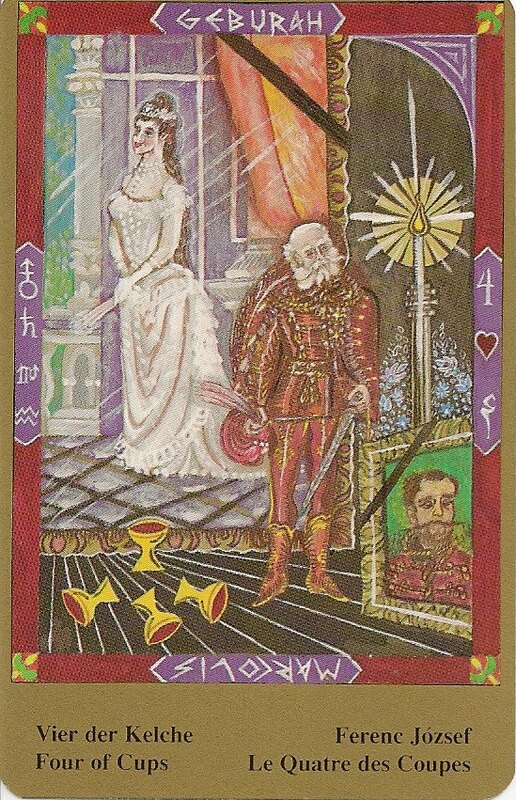 For example, on the Four of Cups the German, English and French title just means "Four of Cups", the Hungarian title is "Ferenc Josef", which is the Hungarian name of the depicted person, the equivalent German name is "Franz Josef I, Empereor of Austria". The suit of swords focusses on ancient Egyptian symbolism, wands on India, including the Hindu and Moslem aspects, cups on Hungary and coins on Persia. 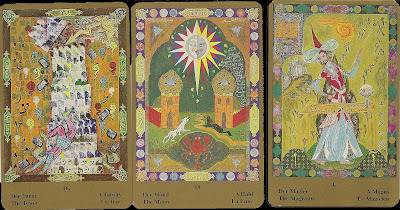 At the top of each Minor Arcana is an angelic Sephira at the bottom the corresponding demonic Sephira . 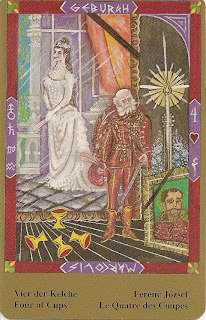 On the left side are astrological symbols, on the ride side the rank, suit and element of the card.